Imagine standing in the footsteps of our region’s earliest inhabitants. Discover why prehistoric foragers camped at Meadowcroft Rockshelter and learn about their hunter-gatherer lifestyle when staying at this site more than 19,000 years ago. Take in the views of our archaeological excavation as you explore their lives, and the Rockshelter’s place in the archaeological pursuit of the First Americans. 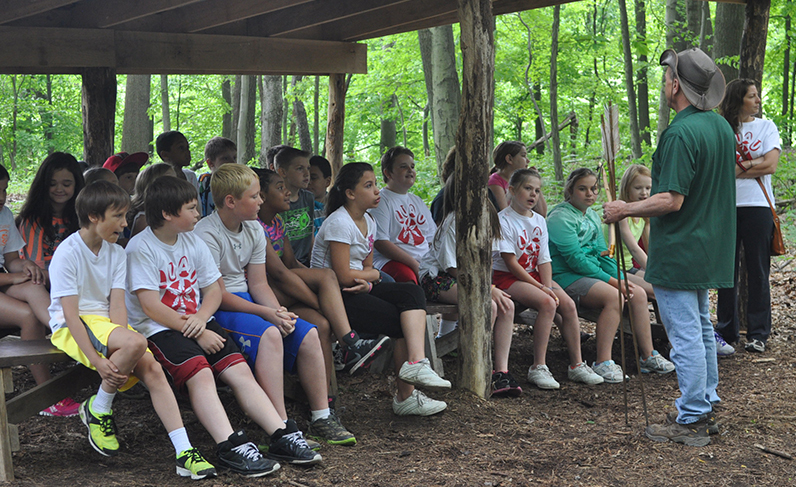 Hands-on educational programs at Meadowcroft allow students to explore the history of life on the land in the upper Ohio Valley. Facilities are also available for Boy Scouts, Girl Scouts, and other youth groups for overnight camping experiences. We offer a variety of tours and educational experiences for children and adults of all ages. For more information about planning your next visit, please contact Meadowcroft at 724-587-3412 or meadowcroftinfo@heinzhistorycenter.org. You may also fill out the Meadowcroft Education Program Request Form. Special thanks to EQT Foundation for its generous support of Meadowcroft’s 2019 American Indian educational programming. Meadowcroft Rockshelter and Historic Village offers a $3 souvenir bag to visiting school groups. 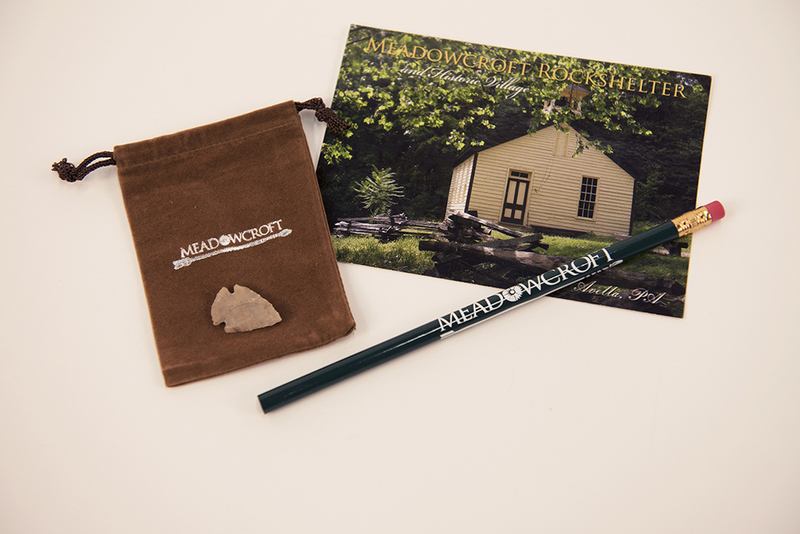 This bag contains an arrowhead, Meadowcroft-branded suede bag, postcard (images vary), and Meadowcroft-branded pencil. If you would like to get gift bags for your students, please ask to add them to your tour confirmation when booking your tour. Bags must be ordered at least 30 days prior to your tour.